There is no sport without fair play. Winning at all costs, using performance-enhancing substances (doping), cheating and gamesmanship, humiliating and breaking the opponent, manifesting physical and verbal violence, and displaying brutality, aggressiveness and racism on the field are the exact opposite of fair play. These ways of behaving ruin the spirit of the game and arouse bitter hostility even among teammates and friends, thereby preventing them from enjoying the fruits of success. True champions can only flourish if the friendly atmosphere of fair play prevails. They consider it invaluable. They stick to the belief that the champion of fair play is unbeatable. 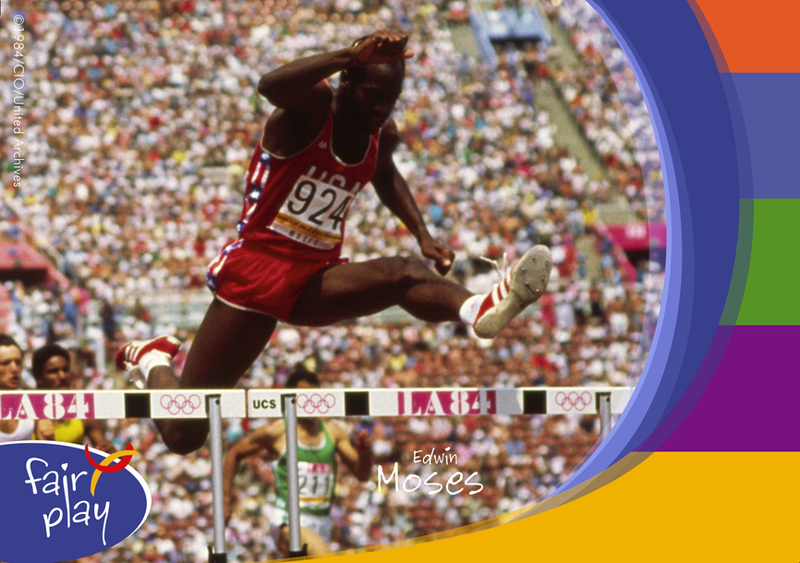 Edwin Moses was an emblematic figure of the 400-metre hurdles who completely dominated his event for decades. Despite being inexperienced, he won his first international competition, the Olympic Games, in Montreal in 1976. He remained undefeated for nine years, nine months and nine days and won 122 consecutive races including 107 finals and another Olympic gold medal in 1984. At the age of thirty-three, Moses finished in third place at the 1988 Olympic Games in Seoul. During his incredible career, he broke the World Record four times. 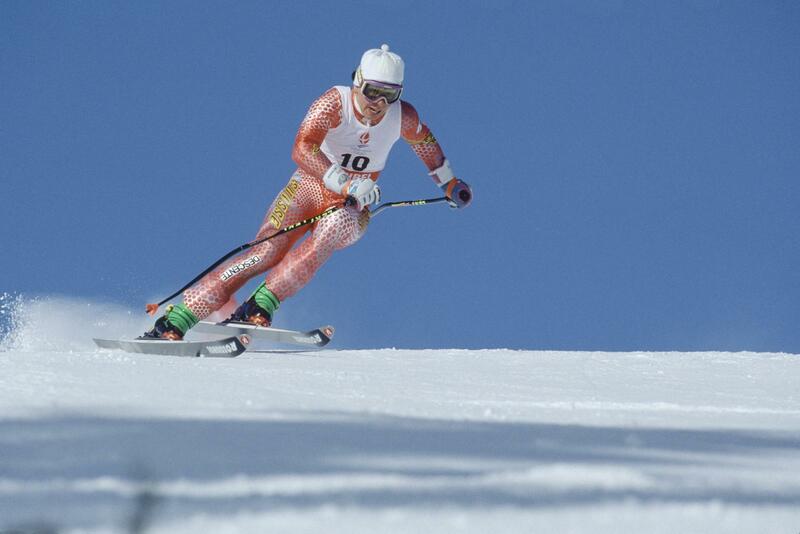 Since his retirement from competition, he has served the Olympic Movement and has relentlessly fought against doping. He is a real role model of fair play. It is essential for every athlete to understand that sport is more than competition. Moreover, without an ethical framework the essence of sport is destroyed and the same is true of our society. Sport teaches us traditional and human values like integrity, tolerance, respect and friendship, which are the building blocks of our communities and without which the world becomes a cruel place to live in. Everyone should bear in mind that with fair play, we all win. 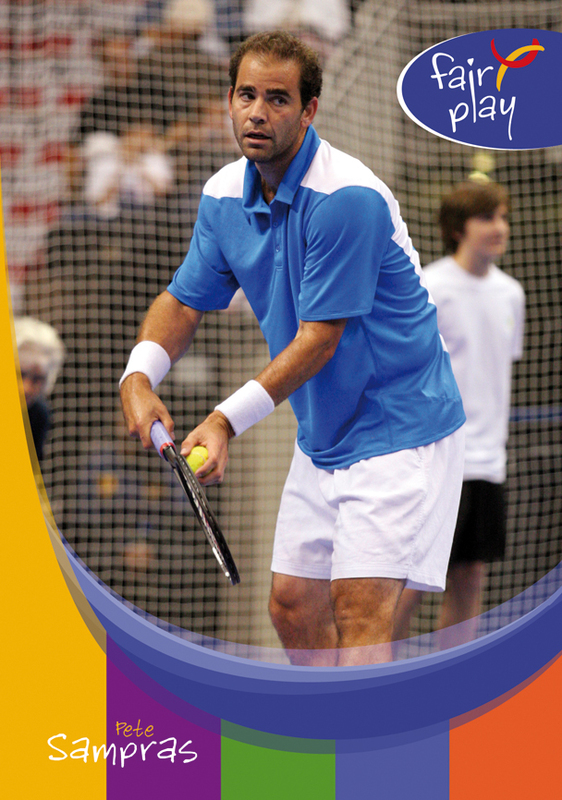 Pete Sampras, living legend of tennis promotes fair play throughout his career. Fair play is not a theory. Fair play is an attitude that characterises a true champion even at the peak of performance. Fair play is sportsmanlike and chivalrous behaviour. Respecting the opponent, the fans and the decisions of the judges, helping fellow players and great rivals in need, and putting even victory at risk for a noble cause are all forms of actions reflecting the spirit of fair play. True champions know that playing fair is the winning tactic in the long run. Learning to enjoy the spirit of a clean fight develops character and helps to overcome obstacles and reach outstanding achievements and glory. Pete Sampras has proved it on and off the field. Samantha Lam is a Canadian-born horse rider who was invited by the IOC to act as an Athlete Role Model during the 2nd Summer Youth Olympic Games in Nanjing. 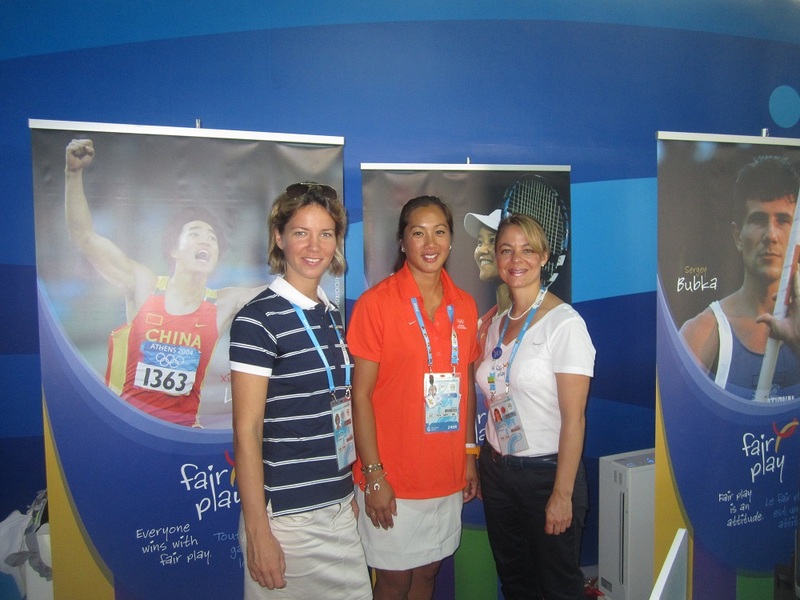 When touring the Culture and Education Programme activities Samantha visited the fair play pavilion too. She talked about the spirit of sportsmanship concerning the relation between human beings and horses.